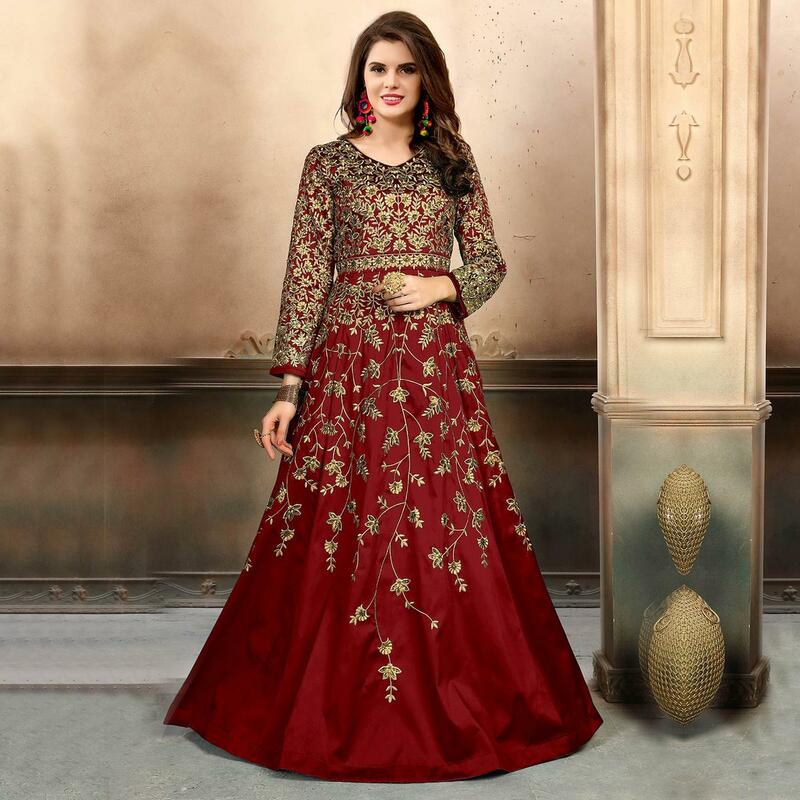 Beauty like never before, grab this royal looking designer floor length suit in maroon color paired with maroon colored bottom and dupatta. It is beautified with heavy zari embroidery and stone work. Its top is fabricated on art silk paired with santoon bottom, santoon lining and net dupatta. This suit would surely attract you showers of compliments when you wear it for parties, functions or occasions. Team it with fashionable ethnic accessories and high heel for a complete look. Buy this beautiful suit now.